We were referred to Akron Children’s Hospital by our pediatrician this summer. On Friday, Oct. 21, my son, Isaac, age 6, had a pre-cancerous birthmark removed from his upper right thigh. This birthmark had doubled in size, began to turn dark brown and feel very rough, like sandpaper. Dr. Murthy is our plastic surgeon. 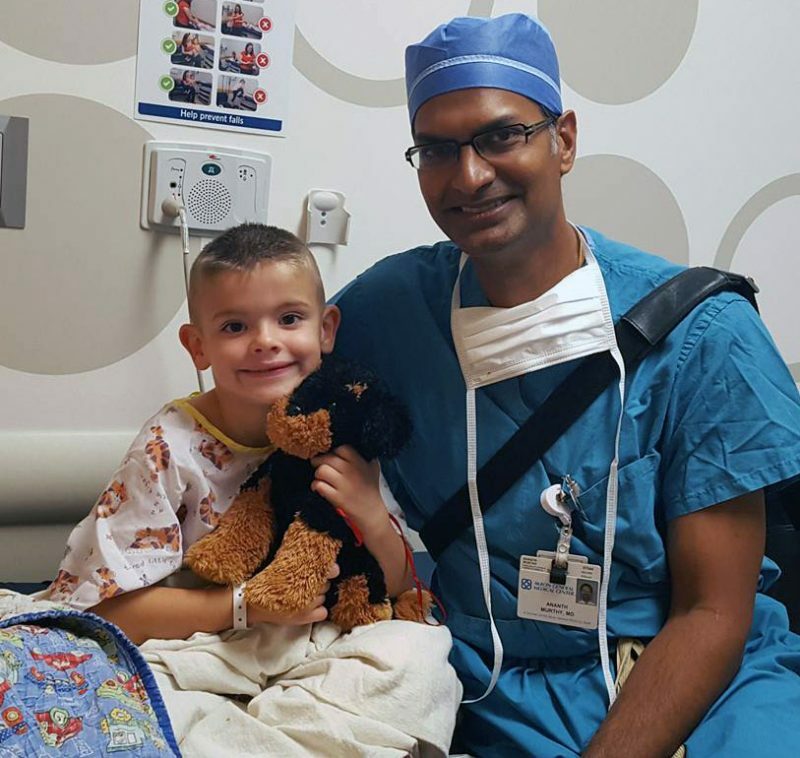 We have had 3 consultations at Dr. Murthy’s office leading up to Isaac’s surgery. From the time we entered the hospital, we knew we were going to receive excellent care. The hospital was clean, brightly decorated and the staff was absolutely amazing. 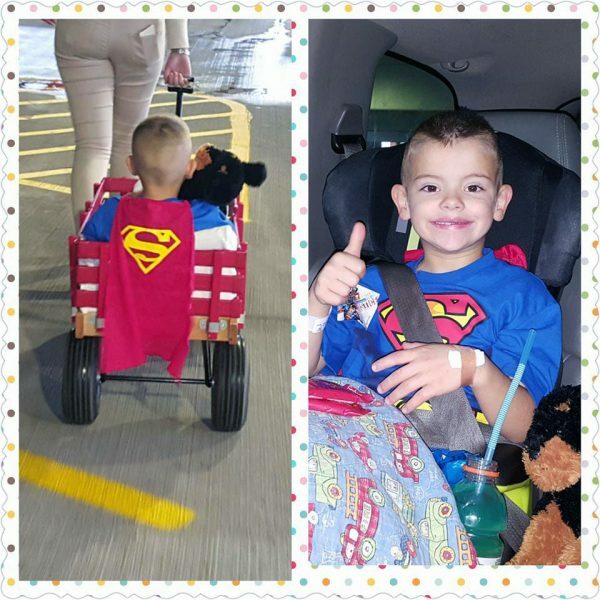 Isaac was given a Superman sticker and admitted and taken back to his room. We met with many friendly hospital staff. 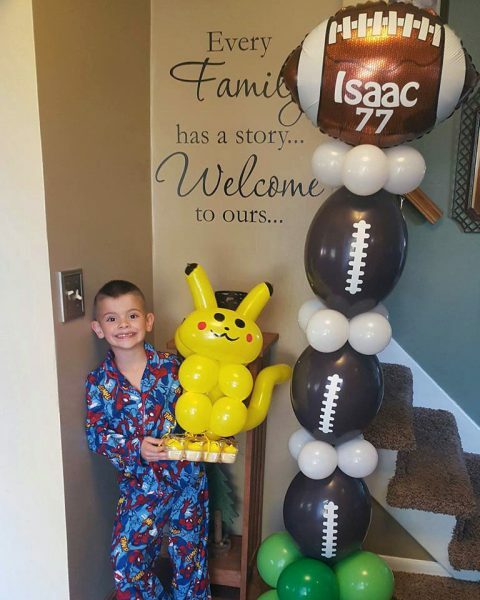 When it was time to take Isaac back to surgery, I was an emotional basket case. My dad had leg surgery when I was 12. Dad’s surgeon cut into a cancerous tumor, which spread to his lungs and my dad passed away due to cancer when I was 3. Therefore, I have been sick to my stomach over this leg surgery on my little boy. When I was taken to the surgical waiting room the ladies there gave me a coin for a complementary coffee, and they were very kind. They randomly checked on me, and other parents waiting, giving us updates. Then I was placed in a conference room where I met with Dr. Murthy. He gave me his full attention, wasn’t in a hurry, and he took time to go over all of my questions. After my conference, I was taken back to recovery to see Isaac. Isaac wasn’t awake just yet. He had a hard time coming out of anesthesia and was given morphine due to the pain. He had approximately 20 stitches and a 3-inch incision on his leg. When he finally awoke and could drink juice, we were given the discharge papers. Isaac was then taken from recovery to my vehicle in the parking garage – in a little wagon! This hospital makes you, as a parent, relieved and this hospital makes the child feel very special. I am very impressed with your professionalism, amazing service, understanding and compassion towards children and their family. We get Isaac’s external stitches out and the biopsy results this Thursday. We are keeping our heads up, hoping and praying for no cancer! Thank you so much for your excellent care we have received thus far. Akron is definitely worth the drive for such great service.